Welcome to Brite Entertainments, We specialize in organizing, planning and managing events in Bharuch. We offer 360 degree solutions to event management and organizing. We have a very professional and friendly staff which works with great enthusiasm to make your event a memorable one. Our team is always available to answer any of your questions or quires. With decades of experience in this field we bring in unparalleled creativity and great ideas for your events. Our team puts in great effort and meticulous planning taking care of every minute details. As the best and experienced event planner, organizer and management company in Bharuch we have managed many events. 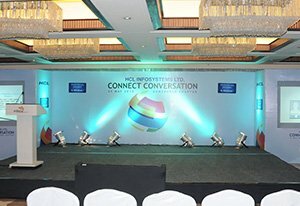 Whether you are planning a wedding, corporate or conference event, corporate trips, exhibition stalls, product launch & promotions, BTL events, entertainment events, fashion events or even planning a social gathering like birthday parties or anything we will listen your ideas, create & design an unforgettable event for your guests with utmost perfection. We also offer our services in various other cities across India.